In the spring of 2012, we loaded our road bikes onto the car and headed north to Maine for a leisurely 30-mile ride along the coast. Our route took us from Wells to Cape Porpoise, and through the towns of Kennebunk and Kennebunkport. By coincidence, we’d just seen the Travel Channel show “Food Wars,” which featured a showdown between two local restaurants for Best Lobster Roll (you can see the episode here). The contenders were Alisson’s Restaurant of Kennebunkport, and The Clam Shack of Kennebunk. Although the two are in different towns, they are literally a stone’s throw away from each other, with the Clam Shack located just over the bridge into Kennebunk. What sparked our interest in the show was that last December we had lunch at Alisson’s and were honestly not too thrilled with the experience. In fact, we were later told by colleagues who lived in the area that “locals never go to Allison’s.” Whether this is true or not, we have no way of knowing… but we weren’t surprised by this feedback. Based on previous experience we chose not to include Alisson’s is The Lobster Chronicles, but we feel that a comparison between the two will shine a light on the differences between The Clam Shack, and various posers. 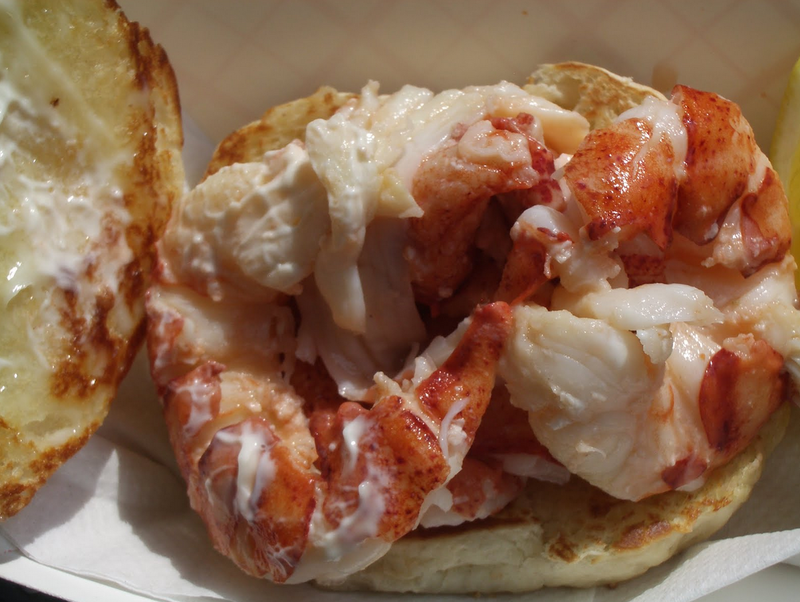 (1) The Clam Shack uses soft shell lobsters, while Alisson’s uses only hard shell. (2) The Clam Shack stores their lobsters in fresh sea water before picking, while Alisson’s refrigerates their lobsters. (3) The Clam Shack uses claws, knuckles and tails (which are more pricey), while Alisson’s uses only claw and knuckles. (4) The Clam Shack offers their lobster rolls with either mayo, butter OR BOTH, and the do NOT coat their lobster meat in mayo – instead, the mayo is spread on the bun, where Alisson’s makes their lobster rolls wet with mayo [in our travels, we found mayo+butter to be a definite advantage]. And (5), and this is a bold move, The Clam Shack uses a home-made round bun, where Alisson’s uses the traditional split-top hot dog roll. 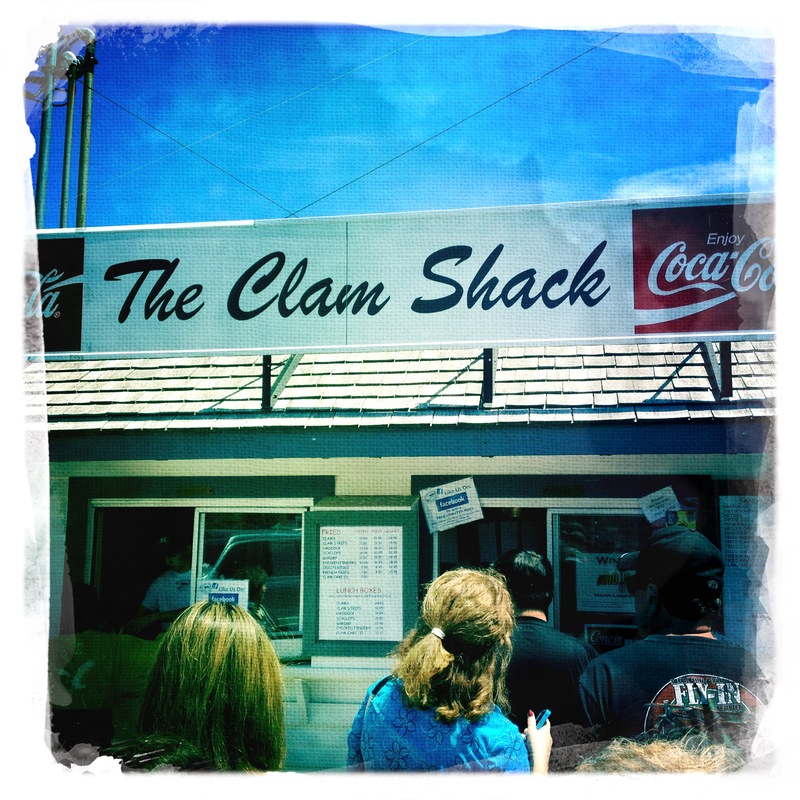 And, of course, The Clam Shack makes every roll to order. Since we had no idea that this visit to The Clam Shack would lead to the creation of The Lobster Chronicles, we never bothered to take a photo of the Clam Shack lobster roll. But to show you what you’re missing, we borrowed this image from Martha Fung. We’ll be happy to take down this photo upon request.